MARINA DEL REY — Women sailors will put their racing skills to the test in a unique regatta focused on empowering women sailors during the Women on the Water (WOW) and Women at the Helm (WAH) race, Aug. 22-23. Three categories make up the regatta. The WOW is for all-women crews, the WAH is mixed, but must have a woman at the helm. These two divisions will buoy race. The third group is a Cruising Class of WOW or WAH crews which will race random leg courses. The largest women’s regatta in Marina del Rey, the WOW-WAH attracts competitive teams as well as teams just banding together for the weekend, said Regatta Chair Jana Davis. 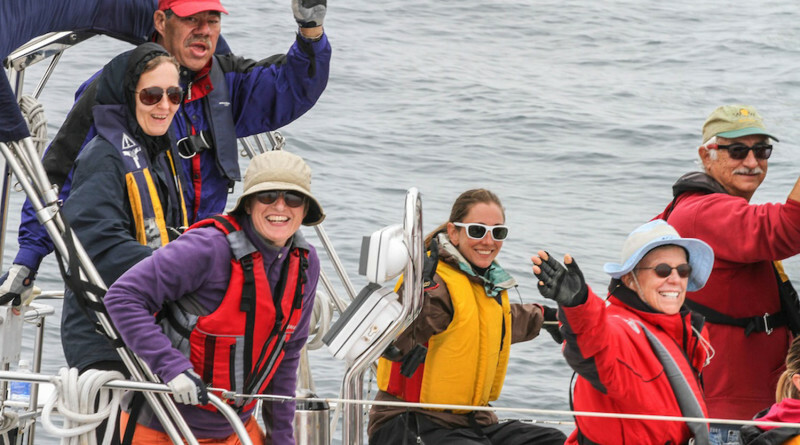 The WOW-WAH has a 37-year history of promoting women’s sailing, encouraging women to take the helm for sailing and racing. The regatta includes an after-race party and raffle on Aug. 22 at Pacific Mariners Yacht Club and trophy celebrations Aug. 23 at Santa Monica Windjammers Yacht Club. Prestigious take-home trophies will be awarded in each division. Register at regattanetwork.com, visit wsasmb.org/wow-wah for more information or email racing@wsasmb.org.